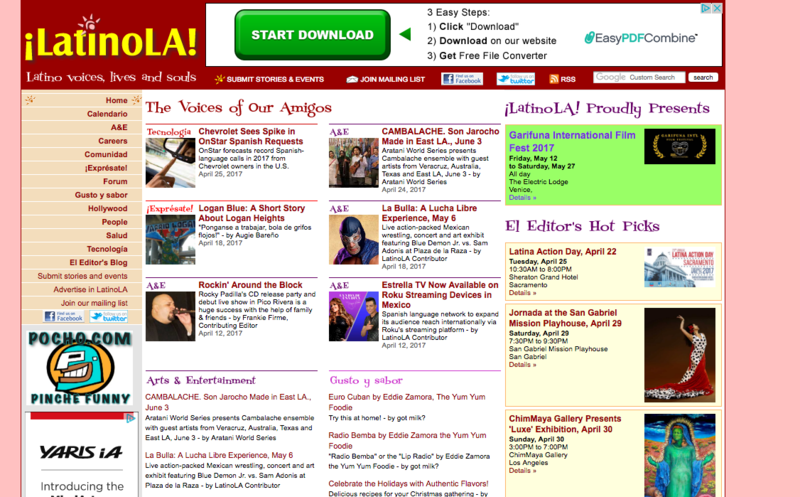 This is how our fest is highlighted on the home page of LatinoLA.com. Not only did we make it to the calendar section of the popular site LatinoLA.com but #GarifunaFilmFest was highlighted on their home page (green box/promo on top, right-hand corner). We thank Mr. Abelardo de la Peña, editor of LatinoLA.com, for his support.